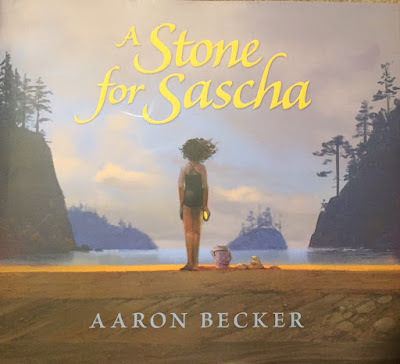 I've reviewed a number of Aaron Becker's recent picture books and his wordless wonders are always insightful and challenging. Somehow, the term picture books seems inadequate to communicate the sophisticated works that they are. They are always multi-layered visual texts filled with symbolism of varied kinds, and deep layered meanings. In this tale, a girl grieves when she loses her dog, but that's just the beginning. When her family takes her away to the seaside she stumbles upon something extraordinary. Another classic wordless picture book from this talented Caldecott Honor winner for his previous book 'Journey'. On a quiet afternoon Duck wanders through the farmyard. But when he sees something tumbling from the sky and suggests that they 'Duck!' But there is an unfortunate misunderstanding. The illustrations and the simple text make for a very funny picture book that readers aged 3-6 will love! 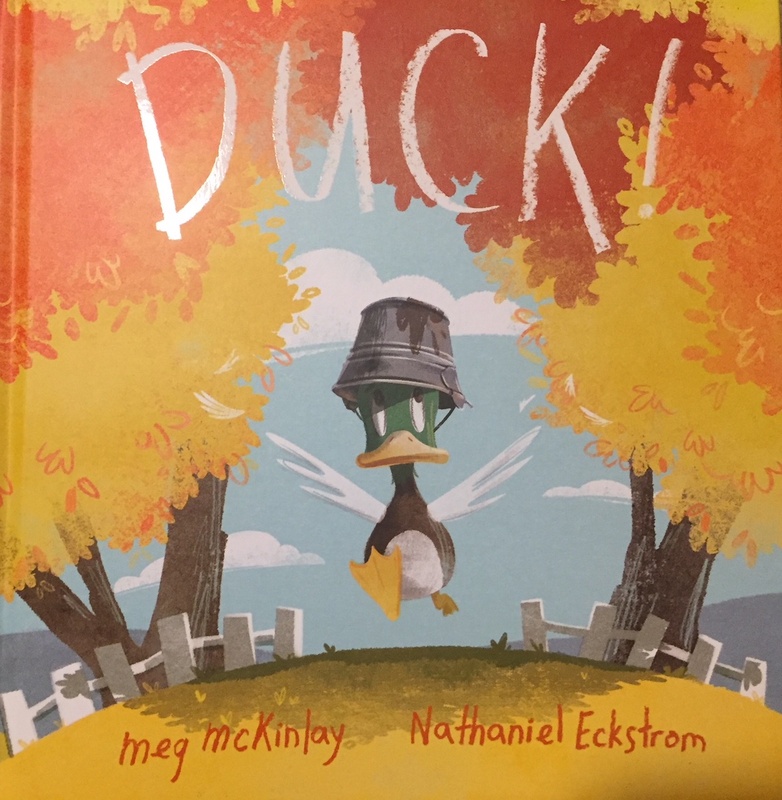 Award-winning author Meg McKinlay is brilliant as usual, and illustrator Nathaniel Eckstrom offers delightful watercolour drawings. Kids will love this. Perfect for group readalouds for children 2-7 years or independent reading for children aged 5+. 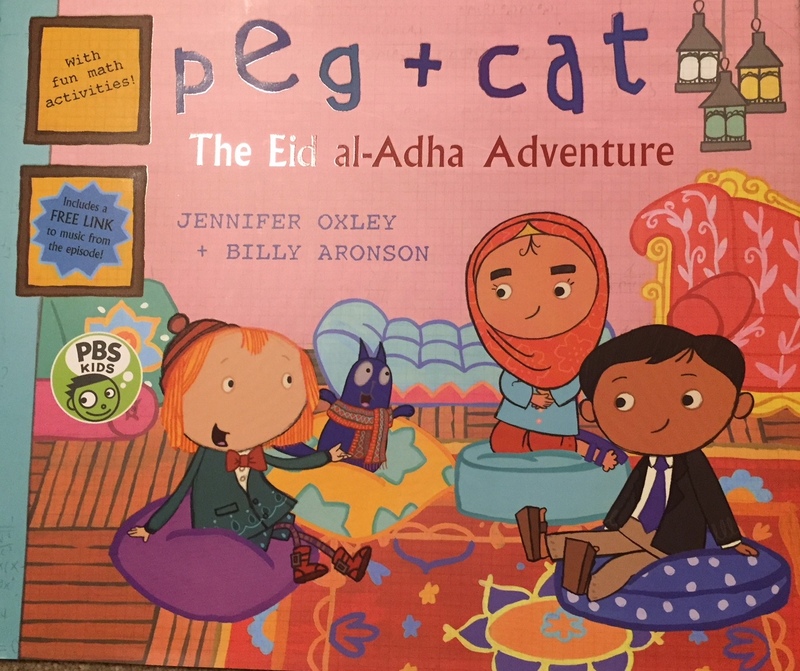 Peg and Cat visit their friends Yasmina and Amir as they celebrate Eid al-Adha. They learn some new things about this special festival. Amir explains many things to them. For example, a key part of Eid al-Adha is dividing the meat into three equal parts. One part is shared with someone less fortunate. But with three bowls of meatballs being shared, things become rather confusing. They have a problem! But with some scales, some help from a soup kitchen and a better understanding of 'more' and 'less' they sort things out. And with lots of lessons about giving and receiving, all have a great time. 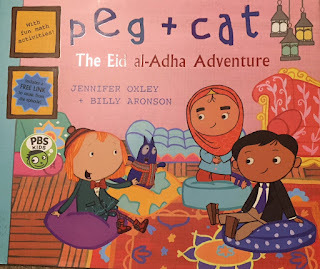 'Peg + Cat' is from the Emmy Award–winning animated TV series created by Jennifer Oxley and Billy Aronson. Readers 5-7 will enjoy the book. This is a brilliant book, with so many good themes. 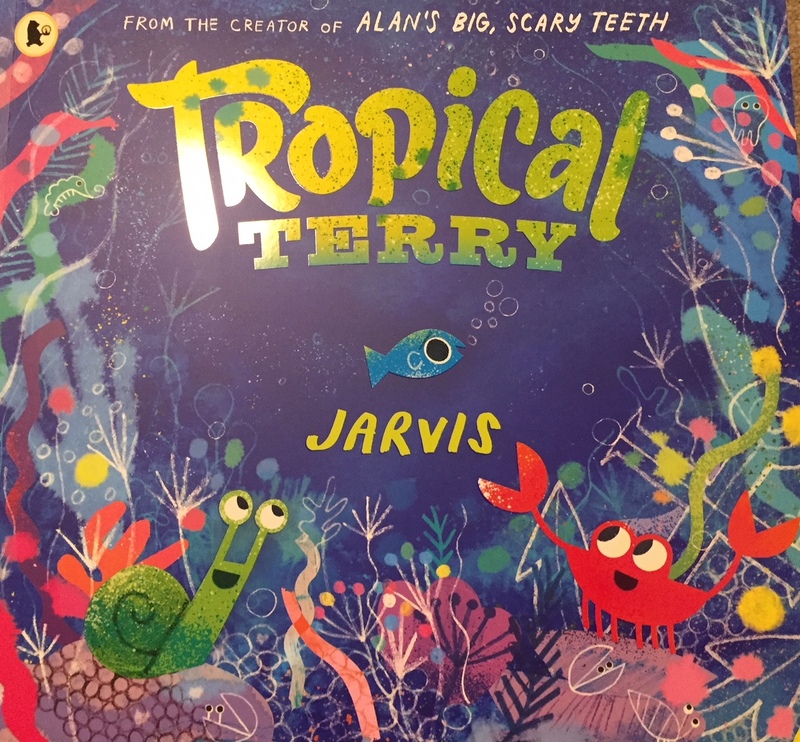 Terry the tropical fish wants to stand out. He isn't the most popular fish with the 'in' crowd. Not fancy and flashy enough for others. But he is to learn a great life lesson. Sometimes, it's helpful to blend in and in life there are more important things than being flashy and being in the cool crowd. Grey old Terry feels dull. And his skills at playing "Hide A Fish" don't impress many. What if I was flashy like the rest? But how...? With the help of some to some others he changes! Will they love him? Will love himself? He's now part of the in crowd. Now surely, this will end well? Will life as a tropical fish be everything he dreamed of? A great little book. Beautifully crafted text and stunning vibrant illustrations from the award-winning Jarvis. The creator of Alan’s Big, Scary Teeth and Mrs Mole, I’m Home! 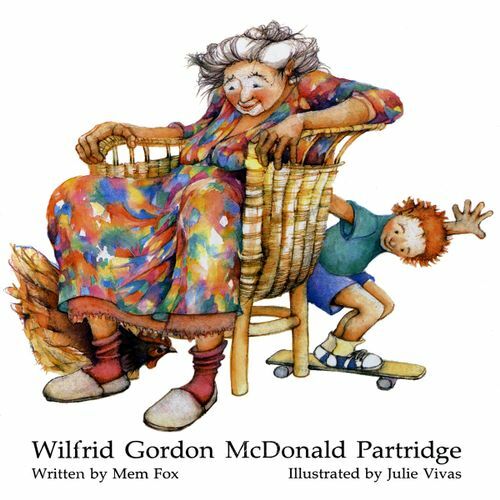 A book that readers and listeners aged 3-7 will love. What happens when things don’t go the way you plan? Can you try and try again? Can you try and try again? 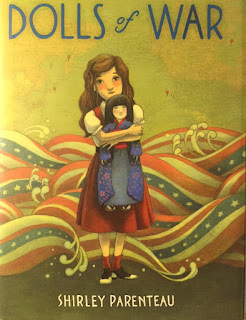 This is a delightful book about hope, resilience and the importance of others who support us. This is a book with an almost metaphysical tone that points to without revealing the things that trouble and how resilience can grow and help to conquer the life when things don't turn out as we expect. 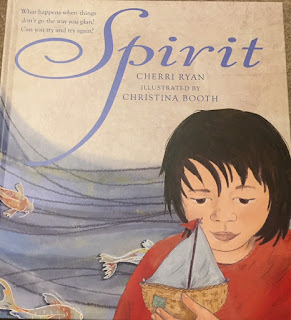 The author Cherri Ryan has been inspired by the children and families she cared for as a family doctor in Australia. She now works in medical education, and enjoys helping people and organisations who help others. 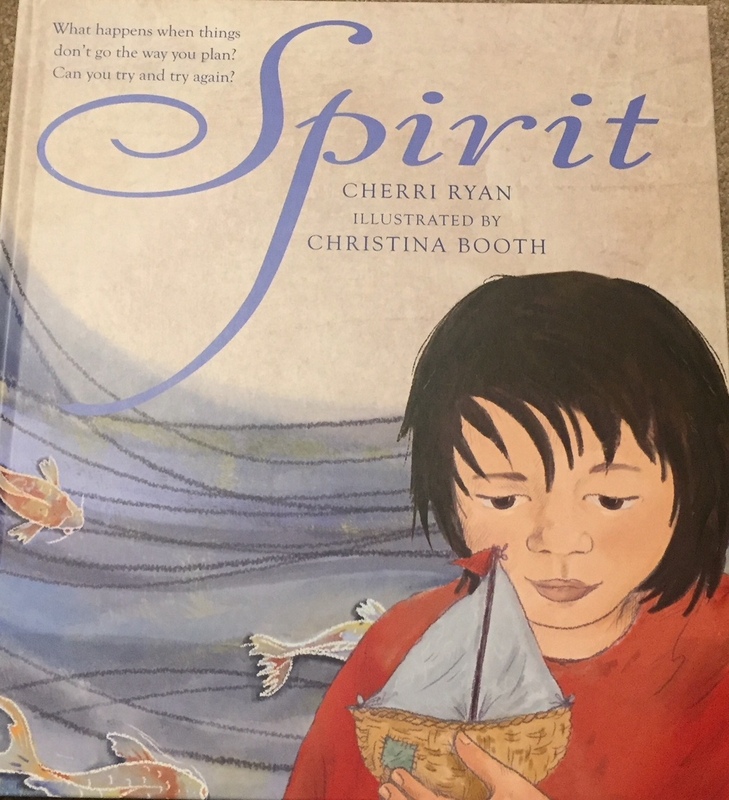 Christina Booth was awarded a CBCA Honour Book Award for her book, Kip, and has won numerous awards including the Environment Award for Children’s Literature for her previous book, 'Welcome Home'. This is an amazing book! 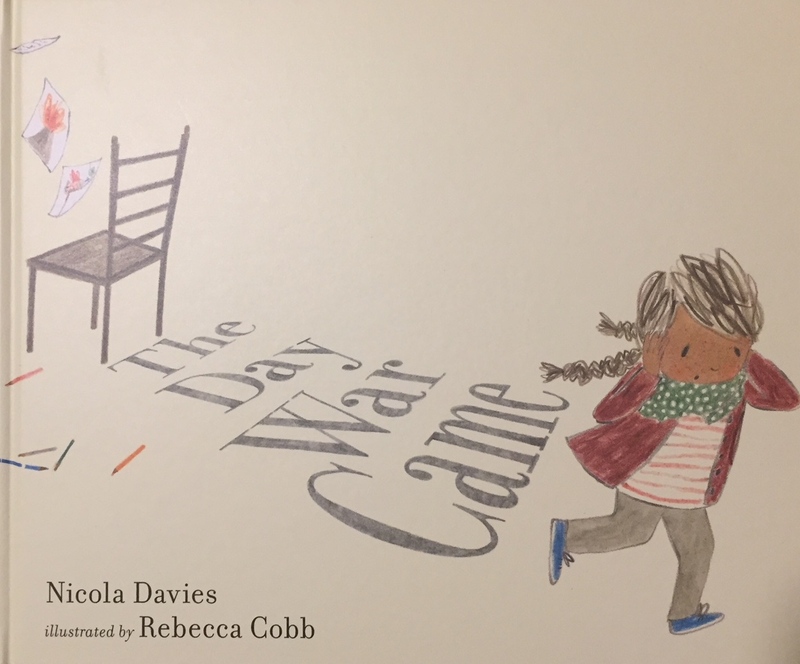 With an economy of words from Nicola Davies and delightful pencil and crayon illustrations from Rebecca Cobb, they create a book that packs a powerful emotional punch. When I read it to a group of parents recently, the room was so still as the story unfolded, that I could almost hear them breathing. This is a story that needs to be told. How do you shine a light on the UK government decision in 2016 not to accept 3,000 unaccompanied refugee children? When the government made the original decision, Nicola Davies was so angry that she wrote a poem and the Guardian published it. A campaign began in which artists contributed drawings of chairs, to symbolise a seat in a classroom, as well as education, kindness, hope and a future. The poem was to become this moving book. What might one of these children's story look like? Feel like? Rebecca Cobb's images are so evocative. 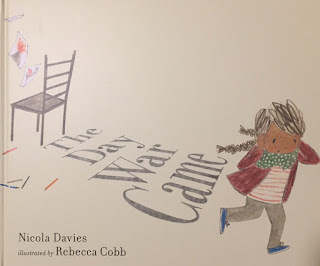 A small child wakes one morning and sits down for an ordinary breakfast and heads off to school, and 'War Came'! It came and took all of her school. So she struggles home, but it is no longer there. Here school, her family, her home, everything had gone! She struggles through broken streets and follows a stream of people to camps, leaky boats and then another nation. But they don't want her at their school, they don't have a chair for her. No place! She retreats to curl up alone in the corner of a lonely hut. But hope and rescue comes in the most amazing way. It is not the grown-ups who rescue her, but children. This book will work at many levels from age 6-adult. 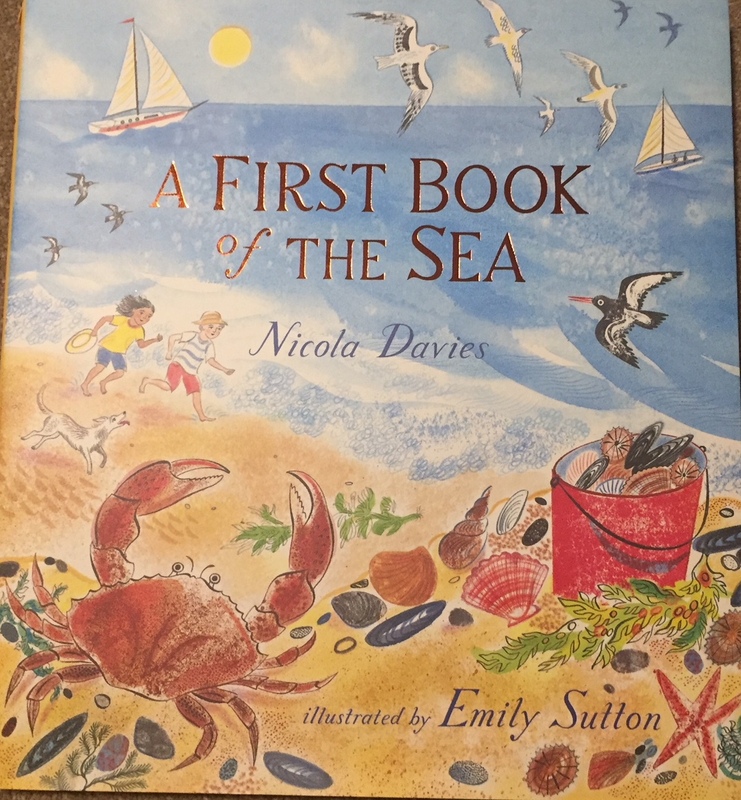 In a volume brimming with information, Nicola Davies and Emily Sutton capture the magic and majesty of the ocean with stunning words and pictures. Poems about manta rays, flying fish, and humpback whales mingle with verses about harbors, storms, and pearl divers. Glimpses of life in the Arctic and Antarctic Oceans flow into spreads about tropical islands, coral reefs, and ancient shipwrecks on the seabed. Emily Suttons water colour drawings make you want to pore over every page. 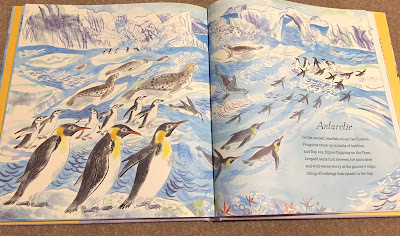 The fishing village for the poem 'End of the Journey', or the teeming life of penguins and leopard seals for the poem 'Antarctic' A riot of colour and to support Davies wonderful poetry. 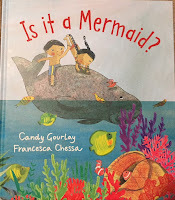 I love this book and so will children aged 4-8 years. The award-winning team of Glyn Harper and Jenny Cooper share this poignant story about a Vietnam veteran and his relationship with his granddaughter. While the relationship is a positive one, the young girl senses her grandfather’s pain and is curious to find out the cause of it. As she innocently seeks answers, she unknowingly opens old wounds and discovers her grandfather’s sadness is a legacy of the Vietnam War and his experiences there. This is a sensitive exploration of the lingering cost of war and of the PTSD so many returned servicemen experience. This is a lovely book. 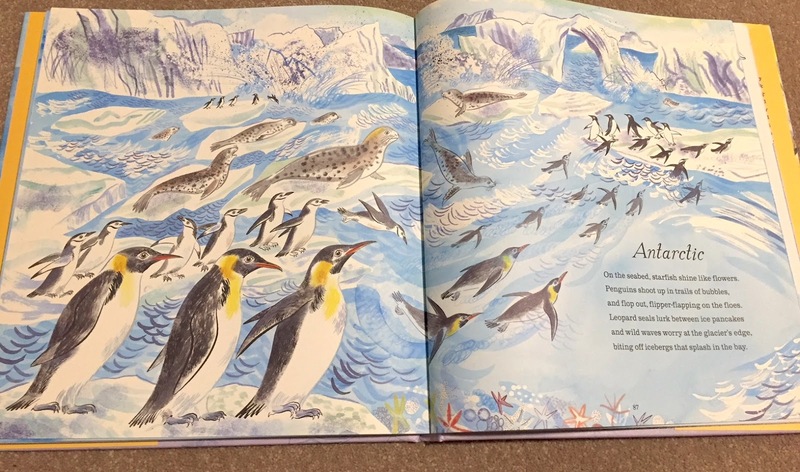 The 'softness' of Jenny Cooper's beautiful illustrations match the tenderness of Glyn Harper's text. 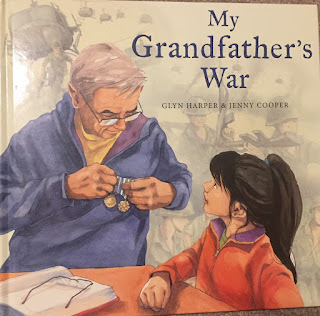 In a simple text that is an authentic representation of the conversation between a young girl and her grandfather, we listen in on a gentle conversation that deepens a relationship between a little girl and her grandfather, and at the same time, helps us to understand a little of the reason the men and women who served in Vietnam felt like the forgotten ones. It is a timely book to coincide with the 50th anniversary of the Battle of Khe Sanh (the Vietnam War’s longest battle). 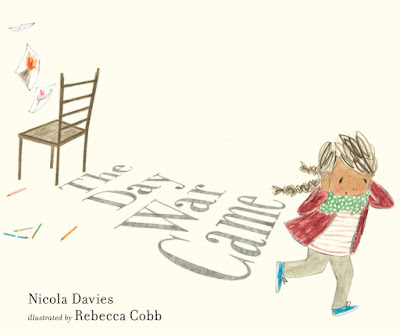 This lovely story will help another generation not to allow this to be a 'forgotten war'. We owe this to the men and women who served. Some lost their loves, many were marked and scarred by it physically and emotionally. This book will help a new generation to understand just a little better all war, but particularly this one. When Benjie and Bel find a strange creature on a tropical beach they know it’s a dugong. 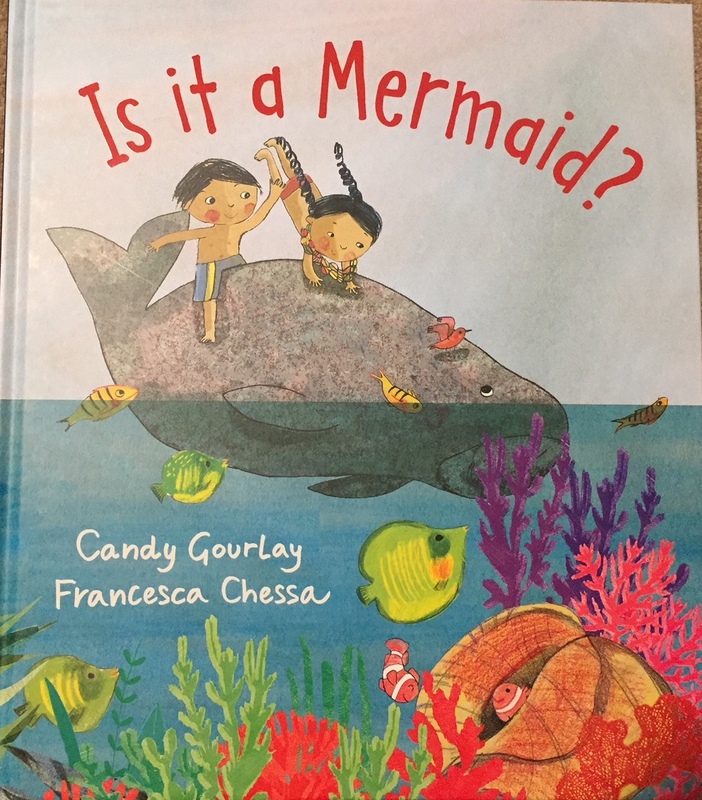 But the dugong insists she is a beautiful mermaid and to prove it, she shows them her mermaid’s tail and sings them a mermaid song. This is a lovely simple book. It is set in the Philippines it seeks to educate children about Dugongs, a species that is threatened due to the destruction of the seaweed they feed on and the dangers of ships. With the additional themes of friendship and kindness it will appeal to readers aged 4-7. Why does Mulla Nasruddin spoon yoghurt into the river? 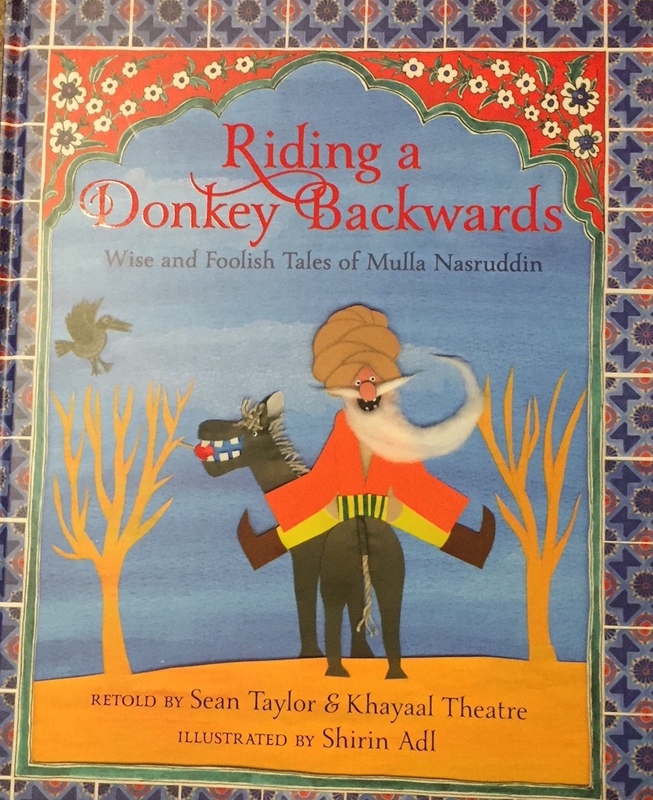 What is the reason he rides his donkey backwards? Why does he paint a picture that is blank? And is he crazy to move into the house of the man who's just burgled him? 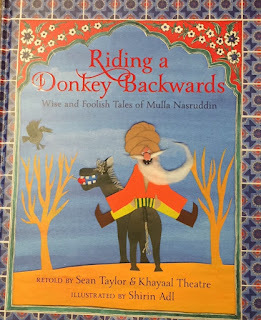 Find out all about the amazing antics of Nasruddin in these twenty-one hilarious stories and riddles, famous throughout the Middle East for their jokes, riddles and wisdom. This book will appeal to a rich multicultural readership and 'audience'. Set in a middle eastern context it is a collection of short stories (100-150 words per 2 page spread). Each is a tale with a funny trick or joke. Along the way, young readers will learn a little about language and traditional tales. Shirin Adl's illustrations complement the delightfully simple texts that will be enjoyed by independent readers aged 6-9 years. All the tales are set within believable daily contexts for people of Muslim heritage, where expectations of generosity might just be taken to extremes at times. "Would it be possible for me to borrow your washing machine?" but also where fun with the literal interpretation of words might well cause funny misunderstandings. Can you "draw a blank", is it okay to answer one question with another question? Delightful as a read aloud or for young independent readers aged 6-8 years. 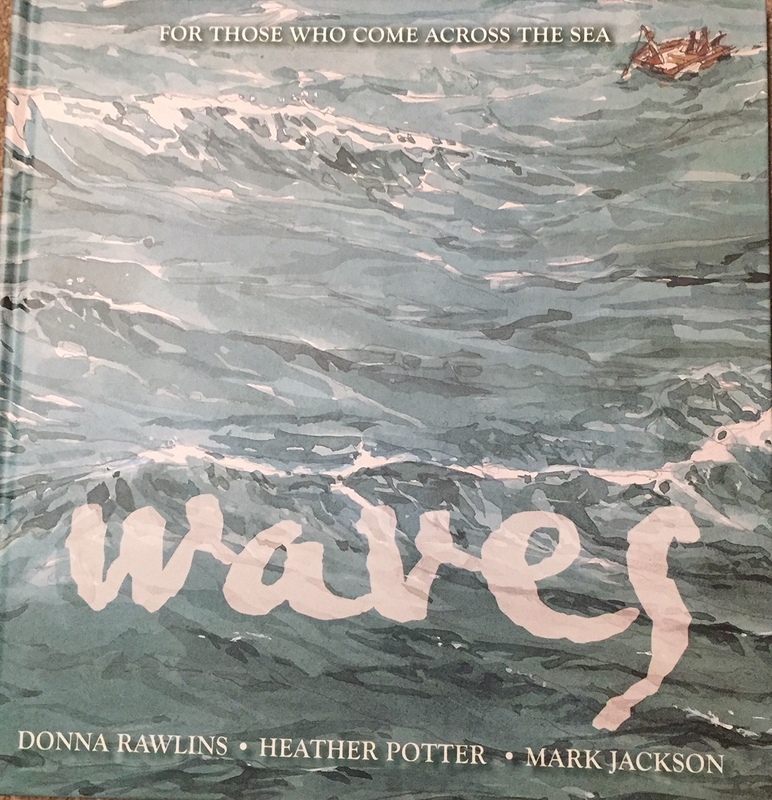 Waves is a narrative non-fiction book about the waves of migration to the shores of Australia. Every journey is perilous, every situation heartbreaking. Every refugee is a person forced by famine or war or fear to leave their home, their families, their friends and all they know. Children have travelled on the waves of migration to the shores of Australia for tens of thousands of years. This book tells some of their stories. 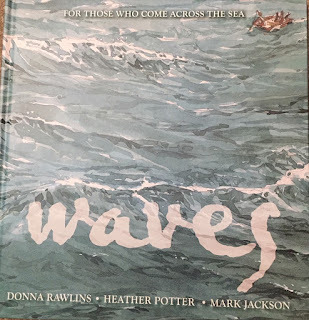 Donna Rawlins presents a collection of short stories centred on the almost universal experience of all people groups who have ancestors who came from across the sea. Mark Jackson and Heather Potter's gentle, slightly abstract line and watercolour images help to bring the book to life. While the characters are fictitious, they are typical of the stories on non-Indigenous Australians who all came to Australia across the sea. At the end of the book Rawlins includes a short history of the many people who have made the journey to Australia. These include the Anak people from what we now know as Indonesia, to British, Portuguese, Jewish refugees, Muslim and many more. 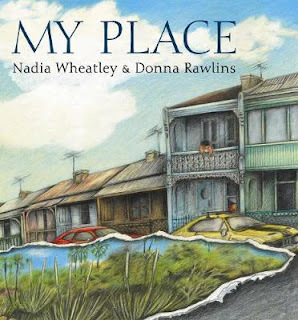 This will be a great book to share as teachers or for independent readers aged 7-10 years. This is the latest Professor Astro Cat adventure. Children who are 'would be' scientists and who have an interest in science and in this case the body! They will love to pore over this book for many hours. 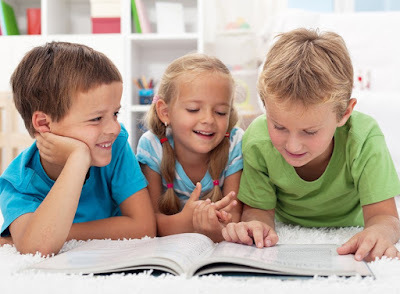 It is book that children will read and re-read as they discover new things, and share them with friends. What's a nervous system? How do we understand the brain? Why do we sneeze? What is the point in having skin? How does a mouth work? The human body is complicated! But it is also so fascinating. 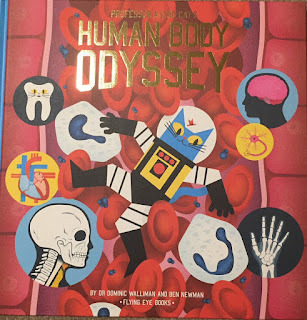 Dominic Wellman's text is beautifully illustrated by Ben Newman as they help Professor Astro Cat and the gang teach us about the body. 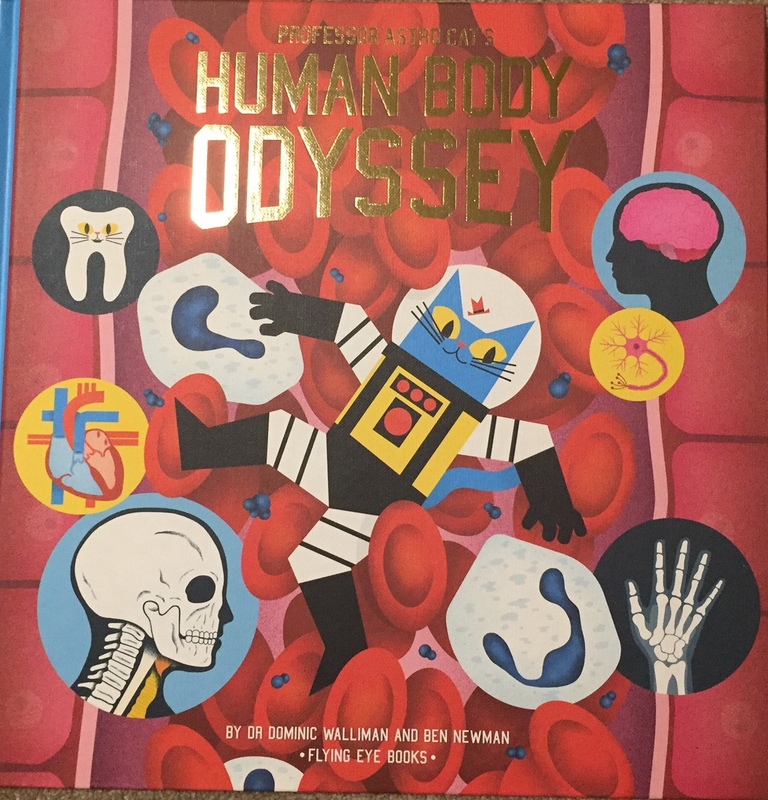 This will be read and re-read by young scientists aged 6-10 years. I presented a plenary address yesterday at the Love To Read conference in Sydney Australia. It was was the initiative of MindChamps. I was one of three speakers, the others being Brian Caswell and Libby Gleeson. The other two speakers wer well known Australian children's authors, with many award-winning books. In my presentation, I suggested that story is a central part of life. Even in ancient cultures, story was integral to life. In the presentation, I argued that story helps to define and influence who we are, what we believe and how we live. I discussed the place of literature in my life. I shared how I had not lived in a family home where I had been read to, nor were there many books. 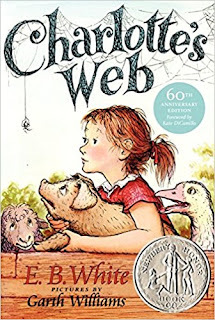 But on reflection - in my middle age - I had realized that while being read to was not part of my childhood experiences, story did have a key place in my early life. My Father and Grandfather were in effect constant story 'tellers'. In particular, my early life at home was filled with music, yarns and anecdotes. Contemporary music was a big part of my household, with parents who were both musicians, singers and entertainers. 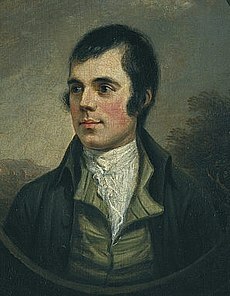 Often this music was in the form of ballads, especially Scottish, Irish and Italian ballads, and the popular songs of film, radio and the popular culture of the day. As well, my father was a great storyteller. Most centred on his childhood living in Victorian tenement housing just outside Glasgow in Scotland prior to WWI, and then a 'bag hut' on the fringes of Newcastle after the war. His stories also featured the journey by sea to Australia, the battles with his 9 brothers and the tenth child, his sister Margaret, who died age 2. As well, he often spoke of how his mother cared for 10 children for two years in Scotland, while his father was in Australia establishing a house and working as a miner. 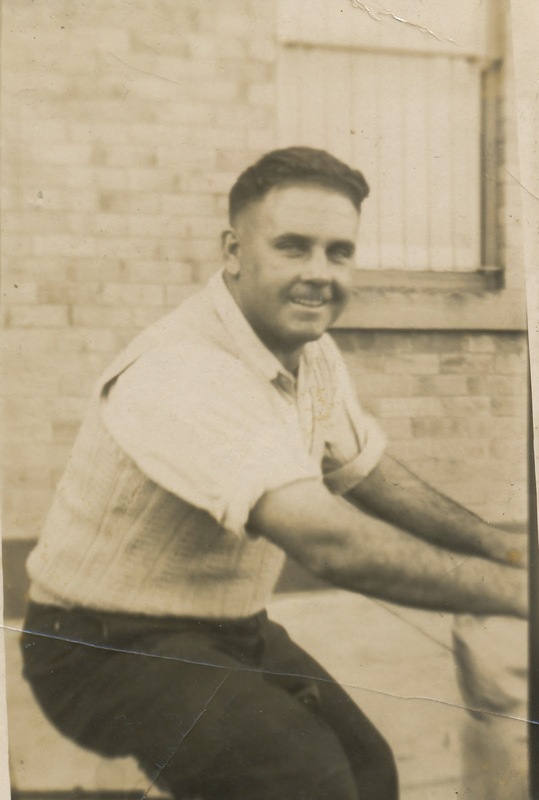 He also spun yarns about his sporting achievements, the depression, WWII, and the union movement in which he was a leader of a militant movement. The famous Rothury Riot, where he was part of the band. This lead the miners as they marched towards the mine where the workers had been locked out. My Grandfather, who I stayed with every school holidays, also shared stories constantly with me about war, politics, literature and the Bible. My grandfather was of Scottish and English stock and would recite from memory the great poetry of Robbie Burns, Robert Louis Stevenson, the literature of Banjo Patterson and Henry Lawson, Sir Walter Scott, and verses from the biblical Psalms and Proverbs. The spoken stories of my father, grandfather and others had a big impact on me. And while I had little literature shared at home, my world was rich with narrative. So narrative in whatever form can help to shape us as people, learners and language users. Story helps us to grasp the very nature of the human condition. It offers a means to see relationships portrayed and human qualities displayed in narrative. It helps us to understand and grasp the richness of what it is to be human. Through story we can be confronted by all the human emotions, including fear, hope, love, forgiveness, trust, failure, despair, loneliness, and joy. Reading and being told stories also helps us to understand that language and story can have varied purposes and can be written and communicated in varied forms. By being told stories we can begin to grasp the difference between the poetic, narrative, fantasy, the satirical, ironic and so on. Finally, it is important remember that we can experience story in varied ways, including oral and written storytelling, anecdote, jokes, songs and more. Stories teach, move, challenge, awaken, and confront. And as they do so, they also serve as a means to shape and change the trajectories of children’s lives. As well as expanding our knowledge of language and the world story can ‘enrich’ our lives? In effect they expand us, broaden our view of the world, and self. Deepen our sense of compassion, love, hope, help us to deal with fears? These words in and of themselves, are the type of language in story that can enrich and change us. They help us to see life differently. Our lives are enriched as we ponder the words of a fictitious spider. 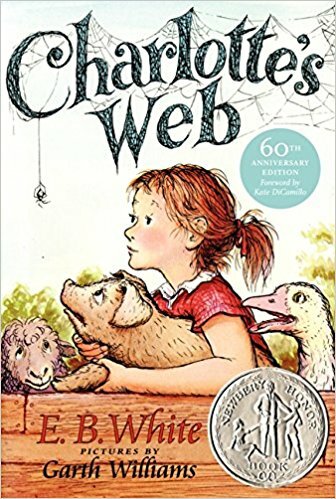 A spider talks, and weaves webs rich in language as a pig is rescued, love grows, people are moved and touched to wonder as death comes and life goes on for others. My Place (Nadia Wheatley & Donna Rawlins) In 1988 Nadia Wheatley wrote a book that was intended to disrupted the one-dimensional nature of the planned Bi-centenary celebration of Australia’s foundation. We were to remembers 200 years of human history, only to forget a nation and people who for 50,000 years nurtured the land, built a rich culture, developed multiple languages, cultivated the land, developed stories, song, rituals, family, kinship and more. The Legend of Moondyne Joe (Mark Greenwood, Frane Lessac) – The story of a beloved scoundrel and expert bushman of early Australian convict history. There wasn’t a cell built that could contain him, and Joe often led the troopers on wild chases through the Moondyne Hills. This is the story of a colourful Australian bushranger that children to understand just part of Australia’s European colonial history. Storm Boy (Colin Thiele) – Thiele takes us to a magical place – The Coorong - to enrich our understanding of nature’s balance and help us to imagine the wonder of it all before it’s lost due to human intervention. Thunderwith (Libby Hathorn) – Hathorn takes us on a journey with Lara who after the death of her mother moves in with her Dad who for 11 years has been building another family. But this new blended family make her feel like an intruder, and a bully at school doesn’t help either. One night a mysterious dog appears in a storm which gives the story a metaphysical dimension. ‘Wilfrid, Gordon, McDonald Partridge’ (Mem Fox & Julie Vivas) - Wilfrid Gordon McDonald Partridge lives next door to a nursing home. When he finds out that his special friend, Nancy Alison Delacourt Cooper is losing her memory he sets out to find what a memory is. In an age when many families are touched by Alzheimer disease this is a book that opens up the beauty of age, not just the pain of death, as well as the power of relationships. ‘Where the Forest Meets the Sea’ – Jeannie Baker’s timeless book raises one of the great ethical issues of our time. What price the loss of rainforests? What is the true cost of environmental degradation as human intervention ‘eats away’ at some of our most wondrous natural resources. ‘A Canadian Year’ – Tania McCartney’s wonderfully simple books from varied countries, tell of life from the child’s perspective. How do Canadian children play? What is school like? Sport? Holidays? We visit this distant place and peer into their lives. These books enrich our understanding of children from around the world. ‘Wonder’ by Raquel J. Palacio – The story of August Pullman, born with a facial difference that kept him from school until the 5th grade. This is a challenging story about ignorance, resilience, bravery, understanding, hope, acceptance and kindness. 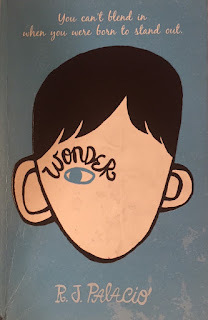 Auggie’s story cannot be read without a box of tissues (just like the Movie of the same name). ‘Lemony Snicket: The Composer is dead’ - In this perplexing murder mystery, everyone seems to have a motive, everyone has an alibi, and nearly everyone is a musical instrument. But the composer is still dead. Lemony Snicket is a wonderful entrée to the world of satire and humour. And if your children like this they’ll also love ‘A series of unfortunate events’. Are ghosts real? George has a ghost as a friend, but he isn't sure he believes in Ghost any more. He asks Ghost to prove he is real by weighing himself, having his photo taken and showing he takes up space. Can Ghost be real if he can't be seen, weighed, he doesn’t take up space…What does it mean to be real and imaginary? What is it ‘to be’! ‘Niko Draws a Feeling’ (Bob Raczka & Simone Shin) Niko draws to understand himself. But no-one understands his drawing for they see it just as scribble. Until one day, a girl moves in across the road and cracks the seal on Niko’s lonely life and sees beyond the symbols to the boy within. One of my favourite books of 2017. As stories expand our world and teach us many things, and as they enrich us as humans, they also begin to transform us as people. Literature also has a special role in enhancing our humanity; of opening our eyes to the world. Books can sharpen our eyes to see beauty in surprising places as well as to identify injustice and human folly. They introduce us to social and ethical issues that really matter and deeply challenge us. I believe that a life rich in story and literature can help us to grow into better people, more responsive to and responsible for our world and our fellow human beings. 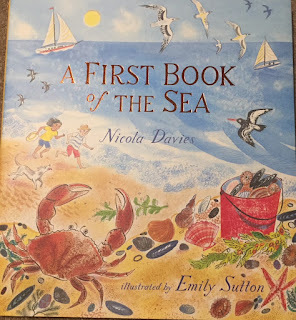 One perfect example of a book that does this is an illustrated poem written by Nicola Davies. Nicola wrote the poem in response to the UK government’s decision not to allow lone refugee children a safe haven in the UK. The poem was published in the Guardian and later a children’s book was born. But help comes from an unexpected place as children from the school find chairs so she “could come to school”. Books can indeed transform us through the power of story. Children begin life with an innate potential to imagine, create, seek meaning, express themselves, and ask why? And story is a key vehicle that teaches, enriches and indeed can transform us. Story helps us to grasp what it is to be human, and literature is one of its most powerful vehicles to touch and change our lives. From birth, we should flood our children’s worlds with stories and interaction. We have an obligation to help to shape in character, to be people who understand their world, feel at home in it, develop identities that contribute to it, and who as a consequence, lead fulfilled lives.